The 'Africanisation' or admittance of 'evolved' Congolese in the colonial government administration and in management positions of companies started very late. While Félix Eboué had already begun his administration career in 1910 in French Equatorial Africa, the administration and business world in Belgian Congo thought about Africanisation only after the Second World War, in the 1950s. The church had begun to allow Africans in its institution much earlier. The first Congolese priest was ordained in 1917. In 1960, there were only 16 Congolese with a university degree (op of a population of 13 million), compared to 600 Congolese priests. 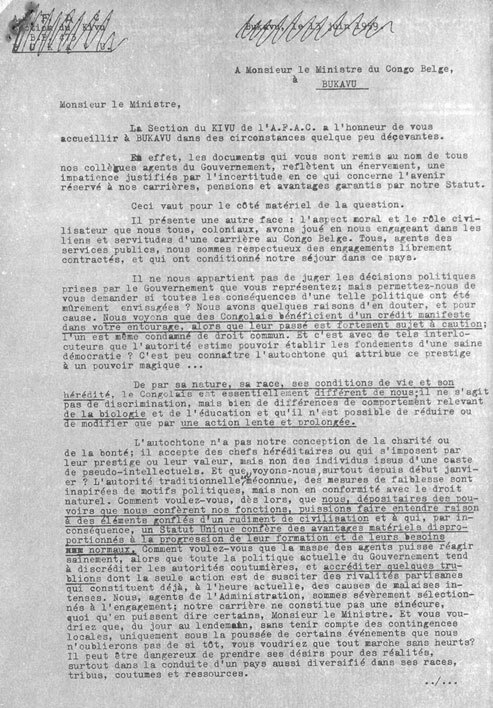 Photocopy of a received letter about the protest of the A.F.A.C. against the admission of Africans in the colonial administration, . 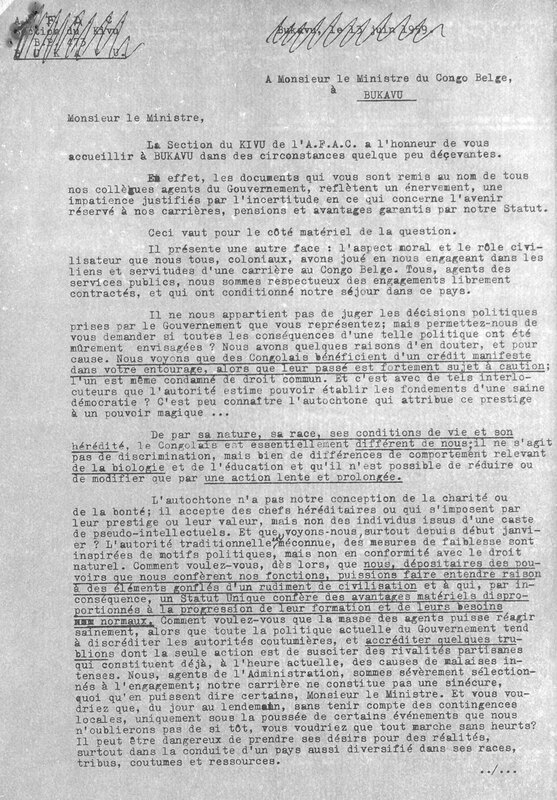 NAB, Papers Ernest Glinne, box 3bis.